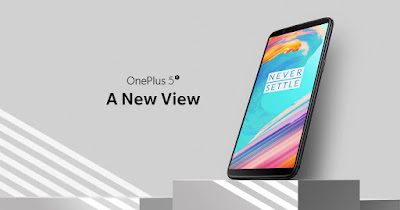 OnePlus 5T Is Getting Its First Update With OxygenOS 4.7.2 - AndroGuider | One Stop For The Techy You! The OnePlus 5T only started to sell yesterday and the device has already started to receive it's first update in the form of OxygenOS 4.7.2. The update includes optimisations for face unlock, fingerprint scanner and Electronic Image Stabilisation (EIS) while recording 4K videos. There hasn't been any announcement of the update from the end of OnePlus yet. Whenever an update rollout is staged, OnePlus post a thread on their forums to inform the community about the update rollout. We will be having our hawk eyes surveilling the OnePlus forums for the OxygenOS 4.7.2 announcement thread. We will update this post as and when we come across it. If you have ordered the 5T, you can expect to get an update notification as soon as you get your device and connect it to the internet. The update size is 1.57GB. In case you have the desire of installing the update manually (which I doubt would be the first thing you would do with a new smartphone), you can check out the download links below.